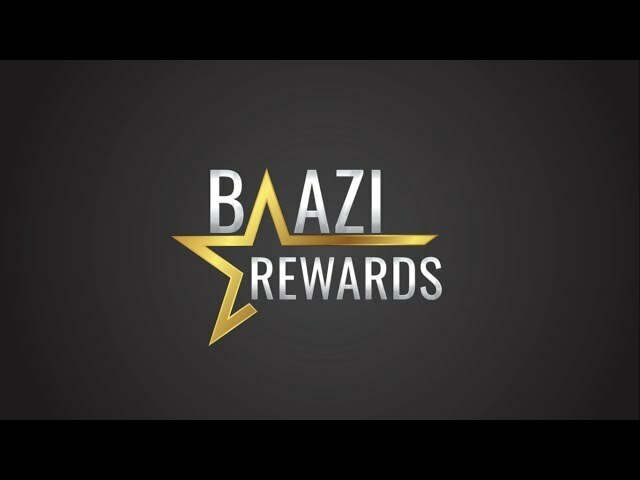 Baazi Rewards is an innovative and unique loyalty rewards program which gives back maximum benefits to a player and that too as per the player’s choice. PokerBaazi.com, with this rewards program, has taken its tradition of giving back to the players to a level never seen before. A player can now choose to go for grand prizes, the list of which includes what not - from real cash prizes to international packages to the most sought after poker destinations in the world like Vegas & Australia, ICC World Cup packages, Bahamas Island, Cruise, iPhones to supercars like a Jaguar!! Alternatively, a player can also go for a direct Cashback. The grand prizes are covered under LOYALTY REWARDS PROGRAM and direct Cashback comes under the CASHBACK PROGRAM. To be eligible for any of these programs, one needs to earn Reward Points, which are auto generated as and when you play cash games. There are multiple Levels in Loyalty Rewards Program. Each Level requires certain Reward Points to get unlocked and has a unique prize in the offering. You can target any Level individually and do not necessarily need to claim previous levels before claiming a level. (For example, you can claim the Level 5 prize even if you haven’t claimed Levels 1, 2, 3 & 4. But this is provided you have sufficient Reward Points required to claim Level 5.) Each level can be claimed only once in a calendar month. This is what makes Loyalty Rewards Program the grandest and most rewarding program ever. The Reward Points, unless claimed, remain valid for unlimited time frame, which means you can actually choose your target Level and go for it. Your Reward Points balance will reduce only if you haven’t played for over 30 consecutive days. Please check the Terms & Conditions for details. In this program, you will earn 20% to 50% cashback in the form of grand prizes. Among the Levels, there are some Premium Levels which offer the maximum benefits. It’s very simple! As soon as you have earned the requisite number of Reward Points for a Level, it will show you an option to ‘Claim’ the prize. The prizes at various Levels include Real Cash Chips, Real Cash Bonus, Tournament Tickets, Gadgets, International Poker Travel Packages & Luxury Cars. Once you hit the ‘Claim’ button, Real Cash prizes and Tournament tickets will be auto credited to your PokerBaazi account. For other prizes, you will receive an intimation from PokerBaazi Team via email. In case of claiming a car, taxes will be borne by PokerBaazi, player will only have to bear the cost of registration. Prizes cannot be transferred to any other player. All necessary documents for international packages (e.g. visa, passport, travel details, etc) have to be shared at least one month prior to the date of departure. One level can only be claimed once during a calendar month.
. If you do not play any cash games for 30 consecutive days, your Reward Points balance will reduce by 20%.
. If you do not play any cash games for 60 consecutive days, your Reward Points balance will reduce by 40%.
. If you do not play any cash games for 90 consecutive days, your Reward Points balance will reduce by 60%.
. If you do not play any cash games for 120 consecutive days, your Reward Points balance will reduce by 80%.
. If you do not play any cash games for 150 consecutive days, your Reward Points balance will reduce by 100%. All prizes are subject to availability of the mentioned models at the time of claiming the prize. In case of non availability, PokerBaazi will reserve the right to replace the prize with an equally valued prize. Tournament tickets won through the Loyalty Rewards Program cannot be exchanged for other tournaments or Real Cash prizes. Level 43 includes Business Class Return Airfare + 20 Nights Stay + Main Event Ticket Worth $10,000 + INR 5 LAC + 5 LAC Real Cash Bonus. Level 41 includes Return Airfare to Vegas, Australia, Barcelona & Macau + 7 Nights Stay Each + INR 4 LAC. Level 39 includes Return Airfare + 10 Nights Stay + Main Event Ticket Worth $10,000. Level 38 Includes Return Airfare + 10 Nights Stay + Tickets worth INR 4.5 LAC. Level 37 includes Return Airfare For 2 + 2 Nights Cruise From Port of Palm Beach to Grand Bahama Island. Level 36 includes ICC World Cup 2019 Final & Semi Final Tickets + Return Airfare + 5 Nights Stay. Level 34 includes Return Airfare + 10 Nights Stay. Level 31 includes Return Airfare + 7 Nights Stay. Level 26 includes Return Airfare + 5 Nights Stay + INR 25,000. Level 23 includes Return Airfare + 5 Nights Stay. Level 27 includes includes return flight tickets to Vegas worth upto 1 LAC. This is a weekly rewards program which gives you Cash Back depending on the Reward Points earned in a week. This program works on a calendar week basis. The Reward Points generated will be counted from every Monday to Sunday. In this program, you can earn 10% to 40% cash back depending on the Reward Points you earn in a week. Rewards Points earned in a calendar week from Monday 12:00 AM to Sunday 11:59 PM will be counted for Cashback. Cashback will be auto credited to your PokerBaazi account every Monday at 10 AM for the previous week. You will also receive any email confirmation for the same. Reward Points balance will be reset to zero every Monday at 12:00 AM. If you switch to Loyalty Rewards Program during a week, your Reward Points will be reset to zero as soon as you switch.